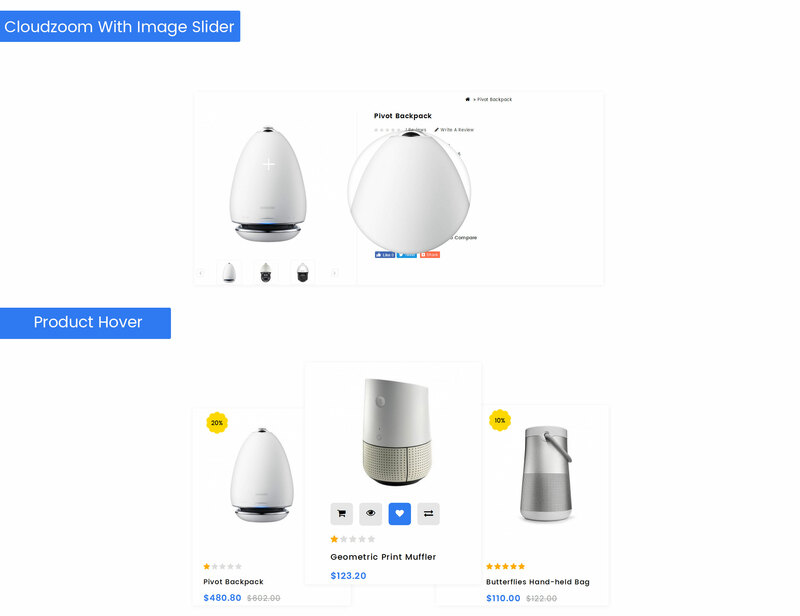 Etechno theme is professional responsive opencart theme built to create modern and powerful e-commerce website. 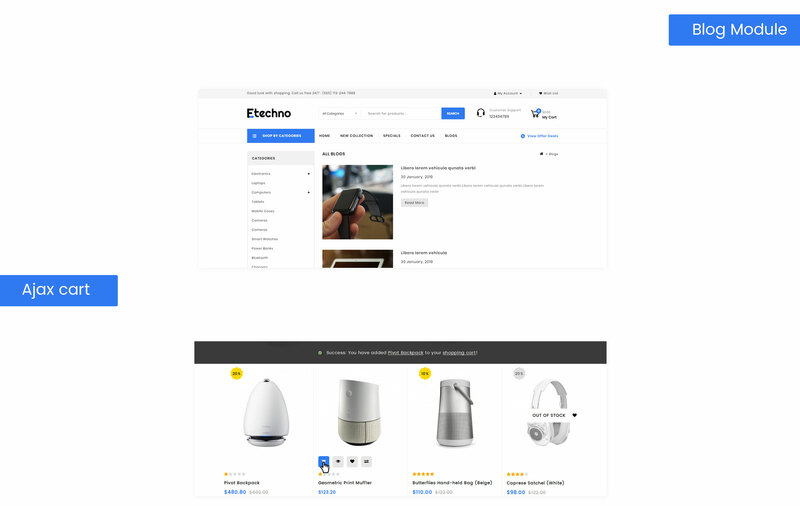 Etechno opencart theme is seo optimized and friendly with most popular search engines. Etechno theme configuration gives the control with flexible settings, fast loading, fast support and much more. 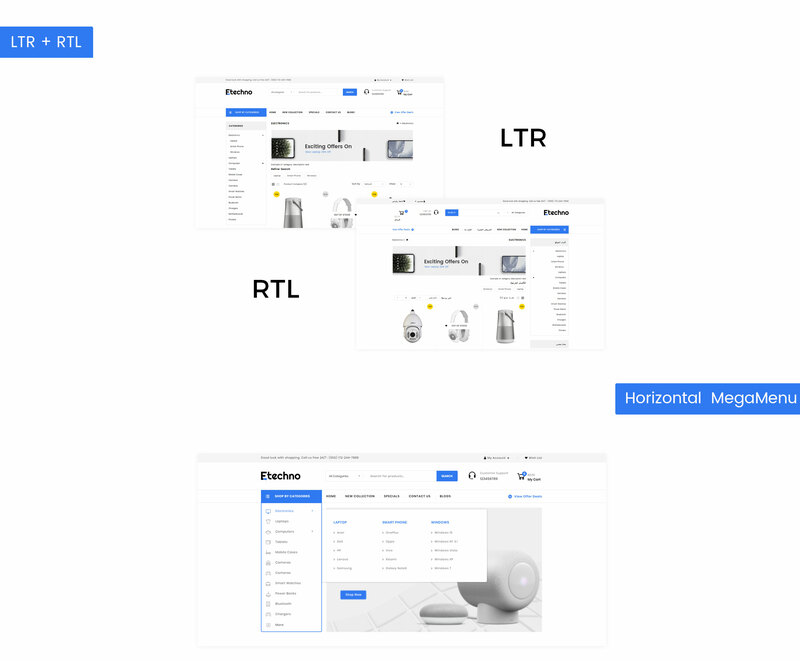 Etechno theme included OneClick (Quickstart) Package to get a replication of our theme demo store and installed on your website with same as our demo content, graphics, theme settings & layouts etc.